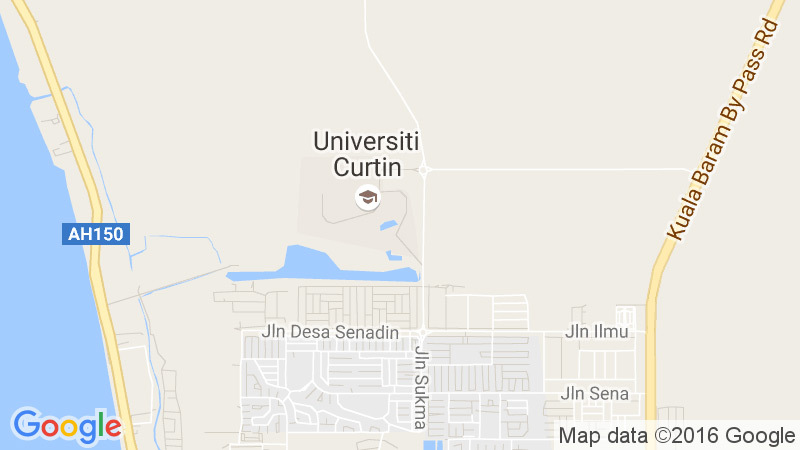 All international students must hold a valid student visa to study at Curtin Malaysia. A student visa allows you to study full-time and multiple entry into Malaysia. The process might seem complicated but the International Division will assist you throughout. It is very important that you read all the information on this page however, and that you follow the steps described here exactly. DO YOU NEED TO RENEW YOUR STUDENT PASS? Yes! A Malaysian Student Pass lasts just one year and thus you must renew your student pass annually. Remember that renewing your visa/pass is your responsibility. There are penalties involved if you overstay so be sure to apply to extend your pass through the International Division at least 90 days before the expiration date. While The Malaysia Immigration Department issues and regulates the passes, the International Division at Curtin Malaysia will help you to renew your pass. The process is fairly easy and we have prepared a checklist to help you. First stop by the International Office and pick up Form Imm. 55 (which is yellow) and Form Im. (which is blue). You’ll need to fill both of these in. Form Im. 38 is in Bahasa only, but there are samples at the International Office to help you. While you’re at the International Office, also collect a Payment Advice Slip from a Staff member. This will indicate the fees you need to pay for your Pass/Visa renewal. Each country has a different rate. The average fee is about RM60.00. Obtain copies of your latest results or academic transcripts. You can get either of these documents from OASIS/MOODLE or the Examination Office (Main Building – Heron 1, Ground Floor, Student Central). While you’re at the Main Building, pay your fees for your Pass/Visa Renewal using your Payment Advice Slip. Collect your Payment Receipt from the cashier and also ensure that the Payment Advice Slip you received from the International Division is signed by the cashier. Return to the International Office and submit your signed Payment Advice Slip together with your Passport, Application Forms and Transcript at the counter. Fill in the Log Book. The International Division Office will email or send you a message for notification to collect passport. Renewal takes approximately 7 working days. We will notify you as soon as we receive your passport from Immigration. Collect your passport on passport collection day (Tuesday and Friday between 9am and 4pm). Fill in the Log Book. All international students are required to apply for a Student Pass before entering Malaysia. Do not enter Malaysia on a Tourist visa and then attempt to change to a Student visa. You will have to leave the country again to do this and it will create lengthy immigration delays. If you’ve already applied for a Student visa and then attempt to enter the country on a Tourist visa you may be denied entry. Students that wish to transfer to Curtin from another institution or who are graduating from another Malaysian institute must first curtail their current pass and obtain a ‘Letter of Release’ before applying for a new student pass through Curtin. The Immigration Department of Malaysia is responsible for the granting and extension of entry visas. Immigration policies are also determined by the Department. Visa approvals are not automatic and there are stringent criteria to be met. In addition, different criteria exist for different nationalities. Submit application for admission to Curtin Malaysia, providing all relevant supporting documents. Upon approval, a Letter of Offer and Student Pass application forms will be issued to the prospective student. The student then proceeds to undergo a medical examination in his/her country of origin. The No Objection Certificate (NOC) will only be issued to foreign students from the Sub-Saharan Africa region. The medical clearance (medical report should be in English) together with completed Student Pass application forms and Acceptance of Offer is then sent to Curtin Malaysia. Curtin Malaysia will process the Student Pass application only when tuition and other fees as indicated in the Letter of Offer are fully paid. 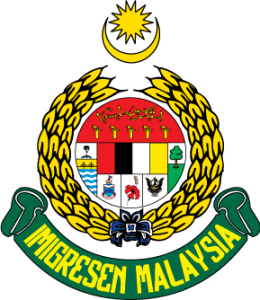 The Sarawak State Immigration Department will approve or reject Student Pass applications usually within 4-5 weeks (Curtin Malaysia will be duly notified of the outcome of the applications). Upon approval, a letter from the Sarawak State Immigration Department (addressed to Malaysian High Commission/Embassy) will be forwarded to the prospective student. The prospective student then submits the letter and his/her passport to the Malaysian High Commission/Embassy in his/her country of origin for ‘Single Entry Visa’ endorsement. Once the student is determined to be clear of any contagious/communicable/dreaded diseases, the medical practitioner will provide a supporting medical report to recommend the student to remain in Malaysia as a student. Curtin Malaysia will submit the medical report and the student’s passport to the Sarawak State Immigration Department for immediate endorsement of Student Pass with a ‘Multiple Entry Visa’. All international students are not allowed to work while holding Curtin Malaysia Student Passes. Appropriate action will be taken against international students who miss classes for three (3) consecutive days by the International Division unless a valid reason is given, along with proof such as a medical certificate. Section 8(3)(b) of the Immigration Act 1959/63 (Amended 2002) requires foreign students to undergo medical check-ups in their home countries before entering the State of Sarawak. Medical check-ups must be done at a government general hospital or specialist Institution recognised by the government. Upon arrival in Sarawak, students are required to undergo another medical check-up. A student can only remain in Malaysia subject to ‘medical clearance’ from an approved local medical practitioner. The Malaysian Ministry of Higher Education issued a circular in November 2010 outlining its latest requirements for foreign students from Sub-Saharan Africa intending to study in Malaysia. It stipulates that, effective from 1 January 2011, all students from the region need to obtain a No Objection Certificate (NOC) from their respective countries’ authorities as a pre-requisite for entry into Malaysia. The NOC is to be sent along with the student’s letter of offer, visa application and medical forms. Countries Affected by this rule are Angola, Benin, Botswana, Burkina Faso, Burundi, Cameroon, Cape Verde, Central African Republic, Chad, Comoros, Congo, Cote d’Ivoire, Democratic Republic of the Congo, Equatorial Guinea, Eritrea, Ethiopia, Gabon, Gambia, Ghana, Guinea, Guinea-Bissau, Kenya, Lesotho, Liberia, Madagascar, Malawi, Mali, Mozambique, Namibia, Niger, Nigeria, Rwanda, Soa Tome and Principe, Senegal, Seychelles, Sierra Leone, Somalia, South Africa, Swaziland, Togo, Uganda, United Republic of Tanzania, Zambia, Zimbabwe. The Malaysian Immigration Department provides detailed information on visa requirements and the visa application process on its website.